Tune into weekly updates from Berkeley Tribe, NorOak Tribe, and other groups affiliated with Tribe Church. Sign up for our newsletter to receive these updates by email. Our Easter Sunday Service will be a great time to invite a friend, neighbor, coworker or family to join us at Tribe as we celebrate the victory of Jesus. There will be a special children's program during service and Sunday School. After service we will have events that everyone, large and small, can participate in: Lawn games, arts & crafts, egg hunt, bounce house and brunch! 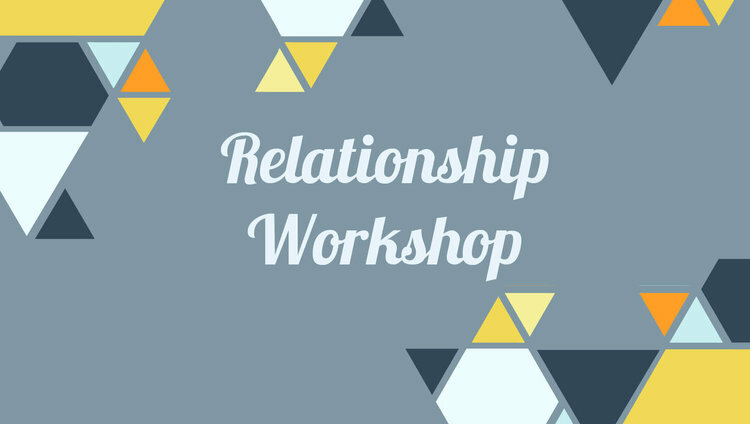 Discover how to find more freedom, joy and satisfaction in all your relationships including family, work, school, friends, kids, romantic, and neighbors. Through role-playing, specific real-life examples, and a collaborative learning approach we will explore a variety of skills including speaking and listening without judging, forgiving and asking for forgiveness, holding space for difficult emotions, resolving disagreements, responding to difficult/hurtful messages from others, building life-giving habits of communication and much much more. Sliding scale cost, use discount code "Tribe" or "Tribebothdates" or contact Steve to work something out. We don't want cost to prevent you from attending. Be sure to join us as Imago Dei Street Clinic, a Christian street-outreach organization that we partner with, shares how they are committed to saving lives and empowering the less fortunate, focusing their Ministry on the homeless community. Plan to stay after the service: we will share a meal with our Imago Dei friends and Tribe family, followed by time we will pray together as a community. Childcare provided.